Like any medicine or substance in the natural world, awareness and care must be taken when taking herbal and mineral supplements. 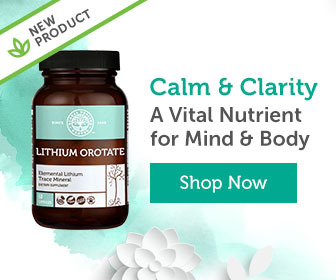 Lithium orotate is an extremely powerful naturally-occurring chemical, and therefore one must be educated as to the possible side effects of taking it. While we should be aware of these side effects, they are not usually common, and can also be controlled through serving size. Serving Size: Common servings of lithium range from 120mg to 450 mg. Lithium orotate requires a lower amount. It is recommended to start with a low amount, and to slowly monitor any side effects before increasing the serving size. What is more, side effects tend to disappear with sustained use of lithium orotate, and reputable sources state that side effects tend to be minimal, and are rarely a cause to discontinue to the use of the substance. Lithium side effects may include, but are not limited to: hand tremors, nervous tics, frequent urination, excessive thirst and/or nausea, sensations of apathy, diarrhea, vomiting, stomach irritation and general loss of appetite. In extreme circumstances, drowsiness, muscular weakness, poor coordination, ringing in the ears. and/or blurred vision. Patients with bipolar illness may also experience weight gain, mental sluggishness, problems with memory, or the development of skin conditions, such as psoriasis and acne. Blood poisoning is also a big concern with lithium, but is more likely in prescribed brands than in over-the-counter lithium orotate. Prescribed brands have higher amounts of the drug in each serving, and are usually not in the form of orotate, meaning that the absorption rate is low, and therefore higher levels of lithium are needed to offer the desired effect. In this sense, lithium orotate is much safer than offer forms of lithium because they are not as concentrated. Because of the possibility of blood toxicity, consult a health practitioner before taking lithium. Similarly, it is usually recommended that one should have their blood drawn regularly to monitor lithium levels in the blood stream. Plasma concentrations below .5-.6 mEg/l show little side effects. Concentrations from 1.0 onward usually lead to more intense side effects, and levels above 2.0 can even be fatal. If taking lithium for an extended period of time, one should be aware of the possibility of developing hypothyroidism, a condition where thyroid functioning is impaired. Again, this is more the case when taking non-orotate forms of lithium, due to absorption capacities. You have a prescribed mental imbalance such as bipolar disorder or schizophrenia. 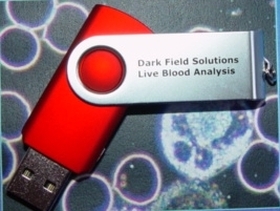 In these cases, first consult with your health care provider for more information. Thank You, Can you please give me the best complete information about the role of Lithium in stimulating mitochondrial biogenesis. I’ m sure you must have the best information to answer this question. Does the Weight Loss Drug “Alli” Cause Liver Damage?